Shop small and save big during January Dollar Days! Downtown businesses will be offering exclusive specials and discounts. Downtown businesses are excited to help you Do It Yourself! An array of DIY activities will be available Feb. 23 in Downtown Ames. Come prepared to learn something new and have some fun! Melodies fill the air in downtown Ames as local businesses host musicians of all genres. Stroll through downtown and enjoy the variety of talent Ames has to offer! This is a family-friendly event, perfect for all ages. Foodies & Brew features live music, food samplings from local restaurants and chefs, and samples of local, craft and micro-brews. Join us at the Ames Municipal Airport Hangar. The annual ArtWalk is a great event that showcases downtown businesses as well as community artists. Discover the work of artists including painters, jewelry makers, photographers, woodworkers, potters, sculptors, musicians, and much more. Join us on the first Friday in June and see creativity in action! The 4th of July Parade is one of the largest events of the summer. Don your red, white, and blue, and help us celebrate Independence Day at this family-friendly event! Get ready... Set... Shop local! 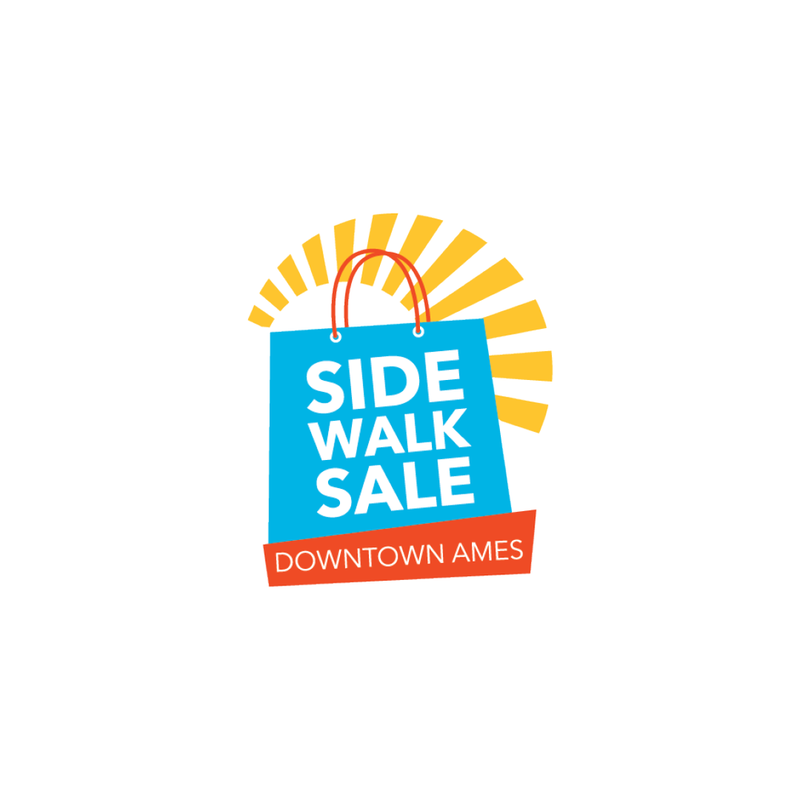 The Summer Sidewalk Sales is a semi-annual sale held by businesses in Downtown Ames. Not only will you find great deals, you’ll be supporting the local community by shopping local! You’ll find discounts, promotions, sales and many other good deals! Take a stroll in Downtown Ames and check out what our local businesses have to offer. Ames’ version of the fall festival celebrating all things German. Are you a fan of trick-or-treating? Or maybe your kids are! Trick-or-Treating in Downtown Ames is always a fun, family-friendly event. Babies, toddlers, kids and parents... everyone is encouraged to dress up! Our friendly businesses in Downtown Ames enjoy a fun afternoon with the kids and in getting to know our community. We're excited to see your funny and creative Halloween costumes on October 25th! Downtown Ames is a festive area to spend time during Holiday season! The Snow Magic begins in November with a community Tree Lighting ceremony and holiday season kick-off events. November 30 is Small Business Saturday, a promotion that reminds the community and visitors of the local benefits of shopping small. The annual ArtWalk is a great event that showcases downtown businesses as well as community artists. Discover the artwork of over 60 artists including painters, jewelry makers, photographers, woodworkers, potters, sculptors, musicians, and much more. Join us on the first Friday in June from 5-8 p.m. throughout our downtown district for the ArtWalk and see creativity in action! Click here to see ArtWalk artists and activities. 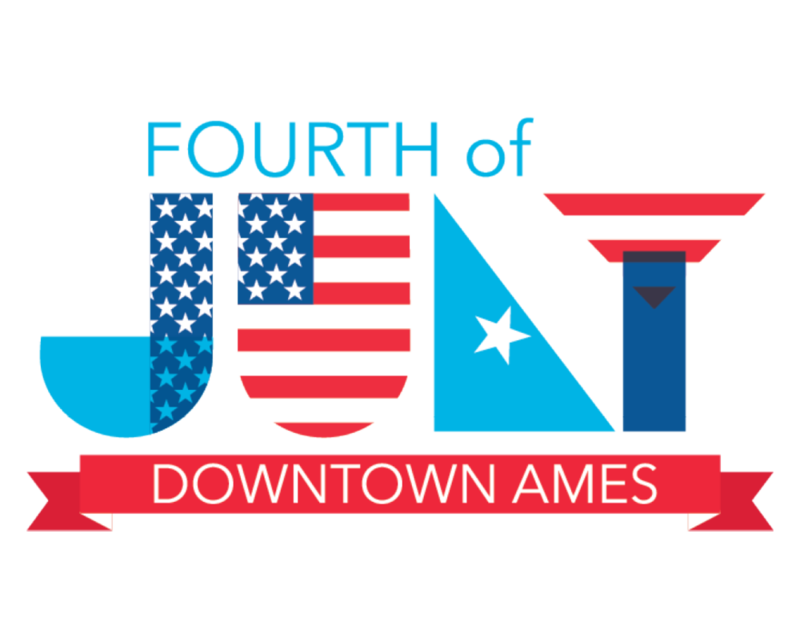 The 4th of July Parade, presented by Duck Worth Wearing and the City of Ames, is one of the largest events of the summer, and attracted thousands of attendees last year! What a great connection between Main Street and the city of Ames! Check out the parade route by clicking here. The Ames RAGBRAI local organizing committee is excited to welcome back RAGBRAI to Ames and Iowa State University for an overnight stop on Tuesday, July 24, 2018! Previously, we welcomed RAGBRAI in 1973, 1983, and 2008. We invite you to come see all the CYtes of Ames and Iowa State University! The Summer Sidewalk Sales, presented by Duck Worth Wearing and Cafe Diem, is a semi-annual sale held by businesses in Downtown Ames. These sales attract people to the District and promote shopping local in the streets of Downtown Ames. Discounts, promotions, sales and many other good deals! Watch our Main Street Cultural District Facebook page for previews of who is having what sales! 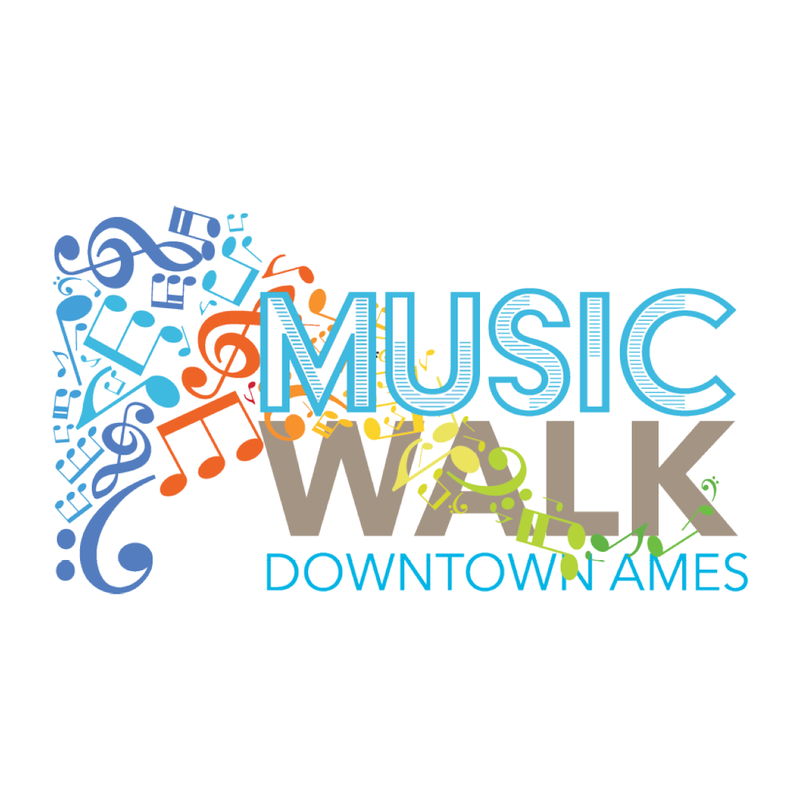 Take a stroll in Downtown Ames and check out what our local businesses have to offer. Main Street Iowa Restaurant Week - Sept. 14-23. Fifteen downtown restaurants and bars will offer special prices, unique entrees and great drink options. Punch cards will be available and patrons who dine at five of the participating locations will be entered to win a prize. You can also get a punch on your card by attending a cooking class or demonstration at Cook’s Emporium. The specials, listed on this brochure, include a whiskey flight for two, gelato and coffee, lunch specials, dinner specials, and late night hot dogs and gyros! You can pick up a brochure at one of the participating locations, at a local Ames hotel, or on the Ames Main Street website. Bring your appetite and enjoy all there is to eat and drink in downtown Ames! Ames Main Street Cultural District was chosen to host the Smithsonian Institute Traveling Exhibit. Baseball. Soccer. Hockey. Bowling. Football. People around the country are drawn to compete in these sports and many others. Still more gather on the sidelines to cheer for their favorite athletes and teams. Nowhere do Americans more intimately connect to sports than in their hometowns. Ames Main Street, in partnership with the Iowa Economic Development Authority and Main Street Iowa (MSI), will celebrate this connection as it hosts “Hometown Teams: How Sports Shape America,” a traveling exhibition from the Smithsonian’s Museum on Main Street program. Hometown Hero Sponsors: Ames Convention and Visitor's Bureau Community Grant, Ames Tribune; Team Captain Sponsors: Iowa State University Athletics, Hunziker & Associates Realty, Hunziker Property Management, HCS Builders, City of Ames; Mediacom; Cheerleader Sponsors: Ames Chamber of Commerce, Wells Fargo Bank. Join us Saturday, September 15, 2018, in downtown Ames for the 7th Annual Main Street Oktoberfest celebration presented by First National Bank of Ames! Enjoy live polka music, dancing, great German Food, "Guten Tag" games, and much more! Under 21 must be accompanied by parent. Beer will be sold by the glass from 1-10pm with a special craft beer sampling through tickets until 5pm. $10 ADMISSION IN ADVANCE - $12 AT THE GATE! FOLLOW US ON OUR AMES MAIN STREET OKTOBERFEST FACEBOOK PAGE FOR NEWS ON THE EVENT. Our friendly businesses in Downtown Ames enjoy a fun afternoon with the kids and in getting to know our community. We're excited to see your funny and creative Halloween costumes on October 26th from 10am - 2pm! Downtown Ames is a festive area to spend time during Holiday season! 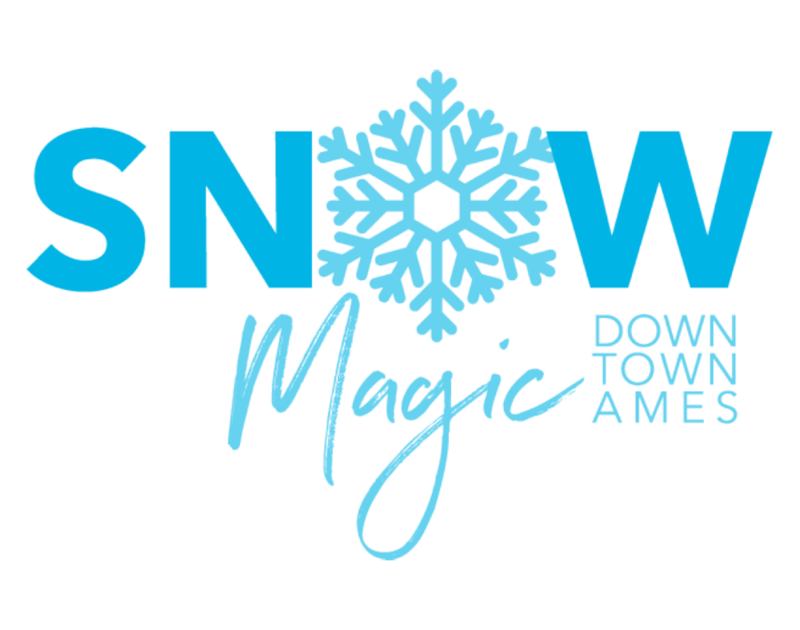 The Snow Magic begins in November with a community Tree Lighting ceremony and holiday season kick-off events. Small Business Saturday is a promotion that reminds the community and visitors of the local benefits of shopping small. Send a letter to Santa Claus! Olde Main has Santa's mailbox and letters to fill out that go straight to the North Pole! Santa Clause always responds to good boys and girls!